TOP Year 2023 . 10 Mins Walk to MRT . 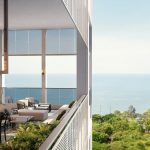 Here we present a Review of 15 Holland Hill condo, a new freehold residential development at the top of Holland Hill. This is a leafy cul-de-sac road that winds uphill from Queensway, in the Holland Village neighbourhood. The site is roughly 10 minutes walk from Holland Village and the MRT station via a short-cut down the hill. It is the location of the former Olina Lodge, that was sold to Peak Opal, a unit of Kheng Leong. Such a hilltop enclave plot of land in prime District 10 is rare, and there are only 4 condominiums at the top of the hill here. 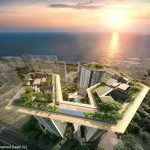 It provides an opportunity for the developer to build an exclusive new development in a secluded environment with panoramic views. In the past, it has partnered with top architectural names such as Richard Rogers (UK), Richard Meier (US), SCDA Architects, and Ernesto Bedmar. 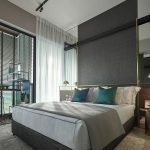 Holland Hill itself is within the upmarket private residential zone of Holland Road, stretching from Singapore Botanic Gardens and Dempsey area at its Orchard Road end, past Holland Village and Henry Park and the Mount Sinai area, to Pandan Valley to its west. This is all part of District 10, traditionally one of the top residential districts of Singapore. And in the midst of this, sits Holland Village, the shopping heart of the neighbourhood. But not just of the neighbourhood only. Holland Village, often endearingly shortened to “Holland V”, draws both foreigners and locals from all corners of Singapore too. Holland V is one of the most well-loved spots in Singapore, with its slightly “bohemian” character. It is not just an expatriate enclave with trendy restaurants and pubs, cobblers, arty shops, and frame makers. In fact, the village exudes a rich, distinctive charm mixed with a casual “hang loose” atmosphere and cosmopolitan flavour that makes it an enduringly favourite spot to chill out at. The 15 Holland Hill floor plans and design are pending approval from authorities. Kindly drop a note via the Contact Form if you would like us to send you the 15 Holland Hill condo floor plans once ready and available. The 15 Holland Hill condo site is a roughly quarter-circular plot of land accessed from the top of Holland Hill road. On its west it faces the open landscaping at the centre of Parvis @ Holland V. Which puts it at quite a distance from the residential blocks there. To its south and south-east, are grouped three other condos – Lush, Holland Peak, and Kintyre Park. These surrounding condos are either 5 or 12 storeys high. In general, it is not a densely built up neighbourhood. 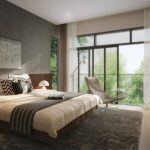 So the 15 Holland Hill site enjoys quite an open feel, especially for upper floor units that could get views all the way to the Dempsey and Botanic Gardens area, and to the city skyline. The 15 Holland Hill showflat is not ready for viewing yet. Please let us know via the Contact Form if you wish to be kept posted, when the 15 Holland Hill condo showflat schedules to open. The 15 Holland Hill prices have not been decided yet. Please register your interest via the Contact Form if you wish to be kept posted on the indicative pricing. The 15 Holland Hill site was previously occupied by Olina Lodge, that was sold on 20 April 2018 to Peak Opal, a unit of Kheng Leong. The purchase price was SGD$230.9 million, 5 per cent higher than its reserve price of SGD$220 million. This plot of land has a site area of 84,289 square feet, and is zoned residential with gross plot ratio of 1.6 and an allowable maximum height of 12 storeys. The purchase price works out to a land rate of SGD$1,712 PSF PPR (per square foot per plot ratio). No development charge is payable, due to the high development baseline. After factoring in development costs, including for overheads, construction, marketing and financing, the break even cost to Peak Opal could be around $2,400 per square foot. The 15 Holland Hill sale price is likely to be benchmarked against recent new condominium launches in the same district, such as Gramercy Park. 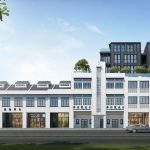 15 Holland Hill Singapore is being developed by Peak Opal, a unit of the Kheng Leong Group. Kheng Leong has a proven track record for developing homes known for quality and value. 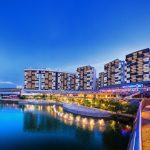 Besides being a forerunner in the development of cluster houses in Singapore, Kheng Leong has chalked up a portfolio of both residential and retail developments. Among the many residences built by the Group are Nassim Park Residences, 72 Grange Road, The Ansley, Principal Gardens, One North Residences, Sutton Place, Domain 21, The Minton, Tudor Ten, and The Woods (cluster homes). Kheng Leong was incorporated in 1949 as an international commodity and trading company, but evolved over the years into an investment group with interests in property development and real estate investment. Today, the Kheng Leong Group handles a growing portfolio of development projects, and varied businesses globally. These are through both direct investments and collaborations spanning the Asia Pacific region from Singapore to Hong Kong to Shanghai, as well as in key cities such as London, Los Angeles, and Sydney. Location. The 15 Holland Hill location is in the Holland Road area. 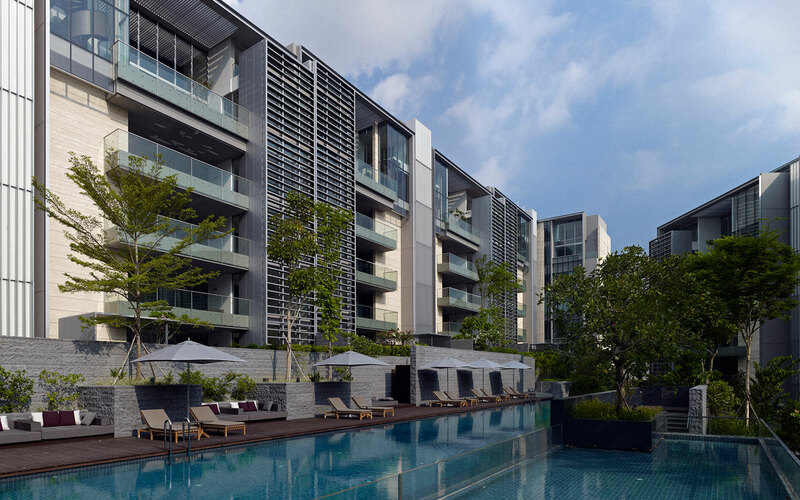 This has always been one of the most exclusive residential neighbourhoods in Singapore, the prime District 10. 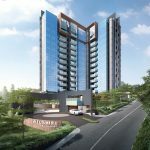 It is part of the purely private residential estate that stretches from Holland Road up to the Bukit Timah area to the north, and down towards Orchard Road on the east. Shops, Banks, F&B, Supermarkets. The 15 Holland Hill condo location is quite convenient where food and grocery shopping is concerned. A 10 to 12 minute walk via a shortcut down the hill will take you to Holland Village, a culinary treasure trove bustling with life and activity. Cafes, restaurants, Asian and Western cuisines, bistros, ice-cream and fast food joints, bars too many to count – it’s got it all. Besides the shops, salons, a Cold Storage supermarket for the essential stuff, and Holland Village Market & Food Centre. And for heavy duty shopping, a 10 minute drive will bring you to Orchard Road. Lifestyle Amenities. Holland Village is a destination in itself. But on the other side, we also have Dempsey Hill – a retail & lifestyle hub and foodie haven, in an old world setting amidst sprawling greenery. With whistling trees and balmy breezes, all conducive to simply relaxing, or hanging out with friends. And we have the splendid Singapore Botanic Gardens across from Dempsey Hill. A delightful place for a stroll or evening run, or for a leisurely meal with family, or for soothing greenery or a nature walk. Schools. Highly regarded primary schools in the neighbourhood include Nanyang Primary and Henry Park primary schools, both within 2 km. The 15 Holland Hill location is also within 2 MRT train stops from the Bukit Timah educational belt to the north, and the Buona Vista education and research belt to the south, that includes several institutes of higher learning and business parks and research hubs. Nearest MRT Station. The 15 Holland Hill location is roughly 650m or 10 minutes walk, to the Holland Village MRT station on the Circle Line. Accessibility. A 10 minute drive down via Holland and Tanglin roads will bring you to the Orchard Road shopping district. We are also roughly 10 minutes drive from exits to the AYE (Ayer-Rajah Expressway) and PIE (Pan-Island Expressway).